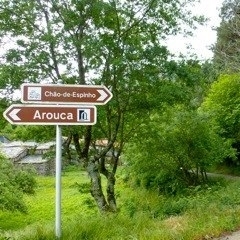 AT SERRA DE FREITA NEAR AROUCA, NORTHERN PORTUGAL. 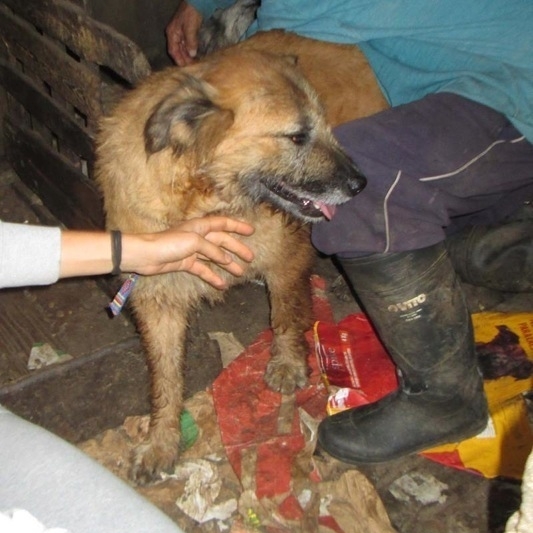 After reading about the plight of an ex-breeder of Serra da Estrelas on FB in June 2014, we decided to help the man home his dogs....... but what we found there was hell on earth. 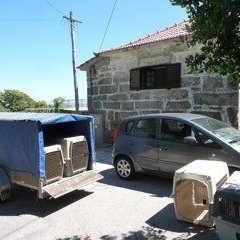 It is 750km from our house in the Algarve to Arouca but we did it twice, with cars, a van and a jeep with trailer. It was a nightmare and a long story if we go into detail. 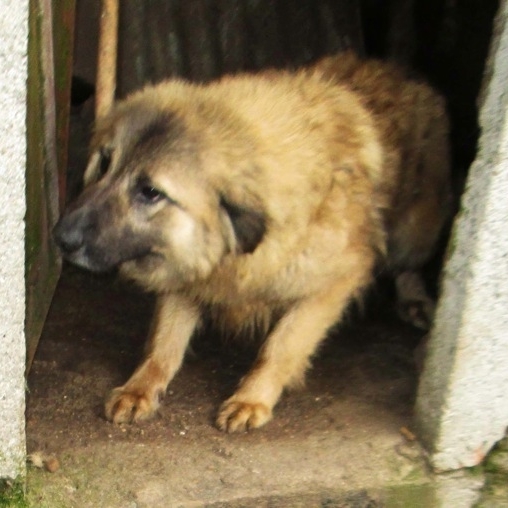 We asked for help from rescue centres near this terrible place as well as from the Estrela Associations, LICRASE and APCSE but got very little or NO response. 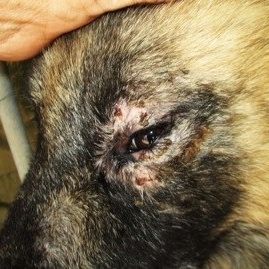 So we asked for help from our colleagues in Algarve and they did respond. 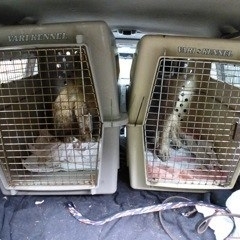 We arranged places for all the females as they had to go first in order to have no more puppies. 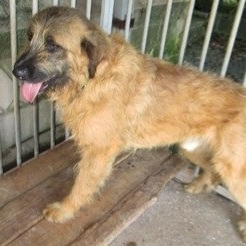 We finally got the rescue group from Gaia who posted the first FB appeal, to help us and eventually take the males. 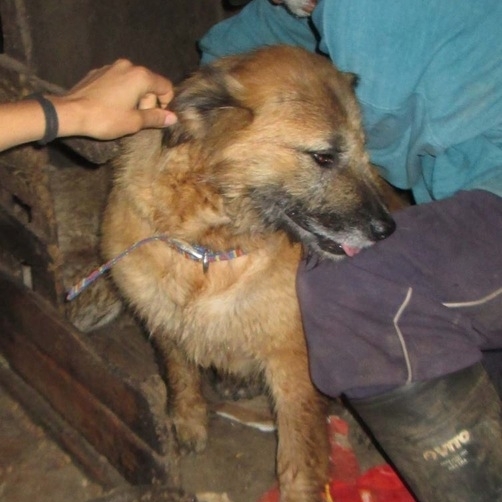 On 12th July we did the second rescue and on 13th July the Gaia group took away the remaining 7 males and 2 females he would not let us take the day before. Please see the pics with their captions. 30 dogs plus 7 new born pups. 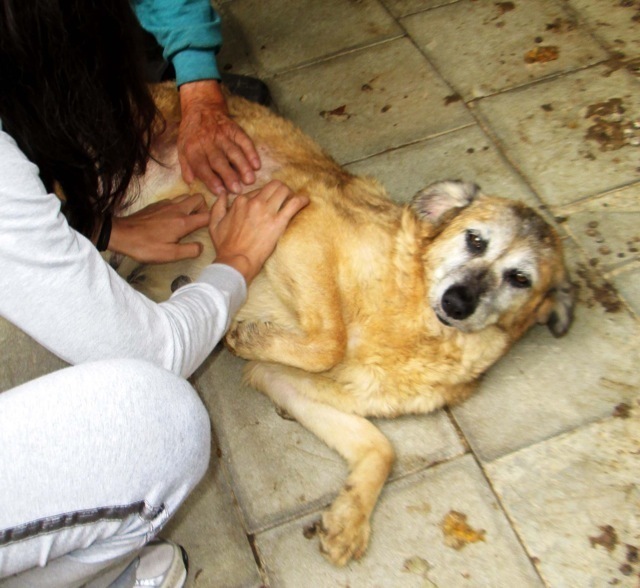 All adult dogs need to be neutered, treated for skin and ear disorders and vaccinated. 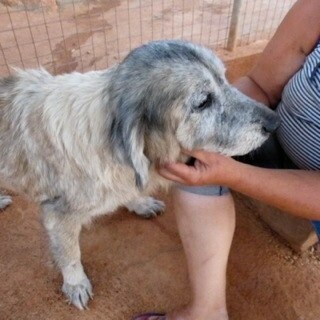 Then the old females need extra treatment for other disorders. 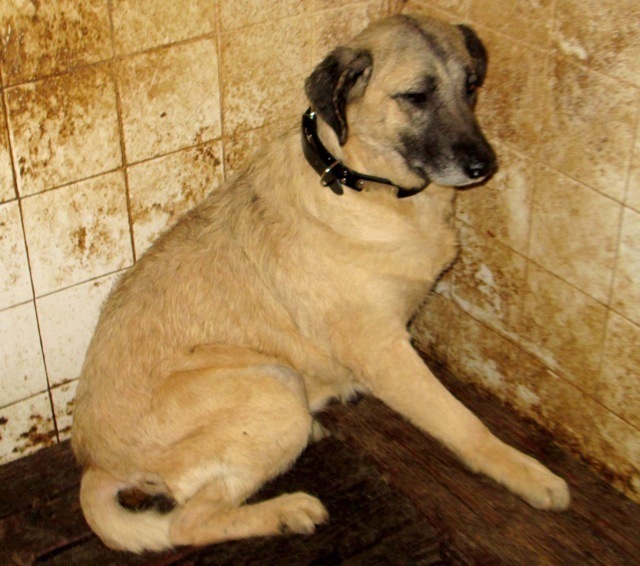 We reckon on 150 euros per dog and 40 € per pup for all vacs and worming. That adds up to 4.800 euros to begin with!! 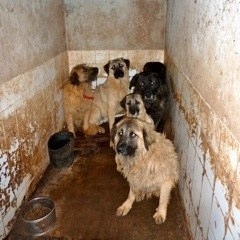 PLEASE MAKE A DONATION TO THESE POOR DOGS BY GOING TO THE DONATIONS BUTTON. THEY NEED YOUR HELP. THANK YOU!